The first of the final set of three kaleidoscope stars I worked on over the past weekend. And the sixth. These are Mr. Q.O.’s favourites of the kaleidoscope stars I’m making. And the project box with the diamonds printed for the paisley kaleidoscope stars. This box does look a little less crowded. Yesterday was a very hot and humid day and today is supposed to be even hotter. And what did I decide to try last night? I decided I was going to try some hand quilting without a hoop. So on a hot and humid evening I had a quilt draped over my legs for a little while. Turns out I quite like quilting without a hoop. But not in this kind of weather! 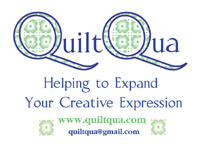 However, it looks like Thursday night will be quite cool and I may just get going on some hand quilting then. 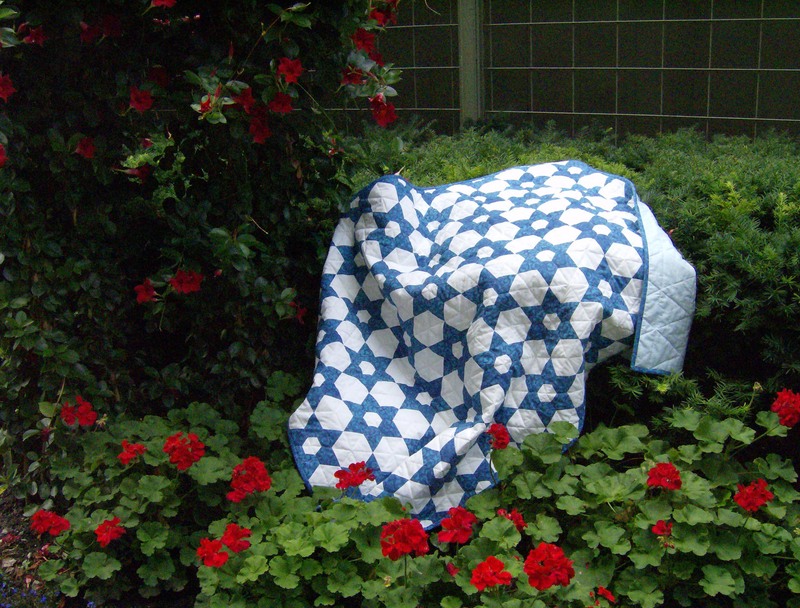 There are three quilts basted, just waiting to be quilted, so it would be nice to get working on them. This is how Baxter decided to deal with a hot day – snoozing in his kitty tree with one paw hanging out. I think these are my favorite stars yet! I agree with Mr. Q.O. These are wonderful! And also please tell Mr. Q.O. that this is Panda’s favorite ‘toon so far. She loves bugs! Well, those stars are very interesting aren’t they! That toon is great, it’s really funny. Have you been tempted to make an alien bug quilt yet? The paisleys have the top vote here! They are just made for the pattern! Love the bugs, of course! I also am with Mr. Q.O. These stars are really something. I’m not sure how Baxter remains so “cool” on such hot day. Yes…I have to agree with the troops…these stars are outstanding! Quite elegant and chic! What fun…discovering what each little bundle will turn into! 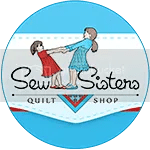 I believe you may have some cool weather on the way…perfect for quilting!